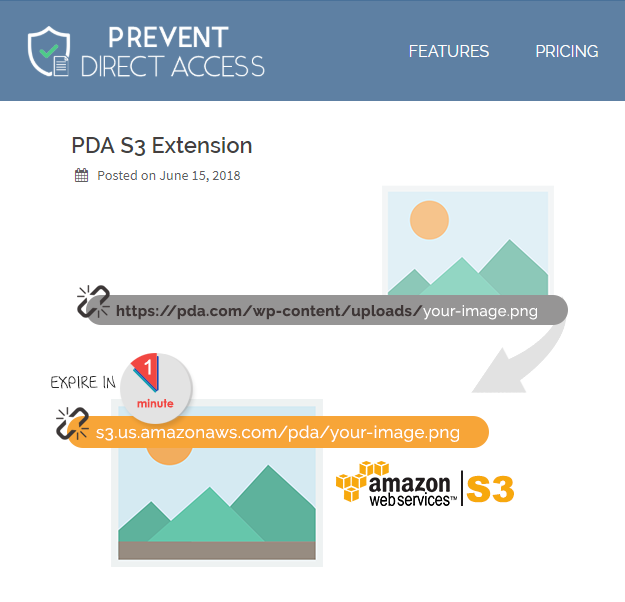 Amazon S3 WordPress Uploads extension allows you to sync your private WordPress files protected by Prevent Direct Access Gold to Amazon S3 seamlessly. It then automatically updates their original URL on your content with the corresponding Amazon S3 links. Best of all, our extension automatically expires then replaces these Amazon S3 links with a new expiring link in every single minute. As a result, Amazon S3 WordPress Uploads extension not only speeds up your private files load time but also prevents others from sharing them with unwanted users. The extension is also working with WooCommerce to serve your digital products with Amazon S3 URLs. 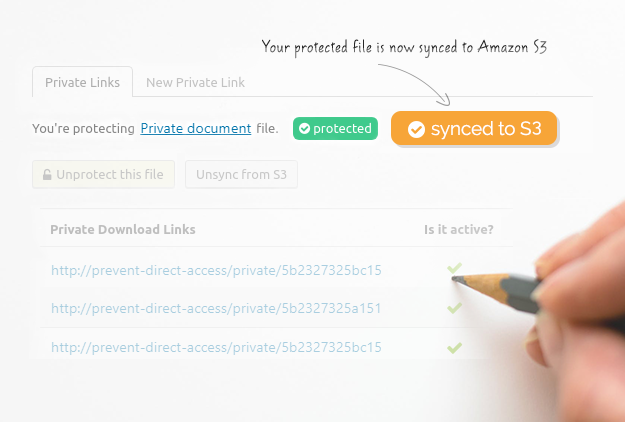 You can sync (copy) any WordPress media files to Amazon S3 with just one click. You can also set to automatically remove these files from your server once they're synced to your S3 bucket. Similarly, there is an option to automatically sync your future file uploads or once they're protected by Prevent Direct Access Gold. Simply un-sync or delete your WordPress files to remove them from Amazon S3. 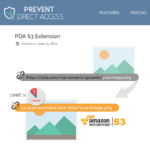 The extension sets the permission of your protected files to private on your Amazon S3 bucket so that no one is able to find and access them directly. The only way to access them is using Amazon signed URLs auto-generated by our extension. Integration with CloudFront is never easier with our extension. Once you have set up your CloudFront distributions on Amazon, simply put the custom domain (CNAME) on our setting options, all your media and asset files will be served using CloudFront CDN. 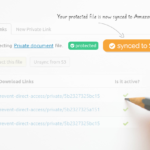 The extension protects and serves your synced product files with Amazon S3 (CloudFront) signed URLs, which offers more reliability and faster download speeds for your customers. On your selected pages, our extension will search and automatically replace the old file URLs in your content with the corresponding Amazon S3 or CloudFront URLs without having you to make any changes manually. This comes in useful when you want to sync files already embedded in your content. These S3 links make your files and website at large load much faster thanks to Amazon S3's powerful content storage and distribution. Better yet, each and every Amazon S3 link created by our extension will automatically expire in 1 minute by default. Once expired, Amazon S3 WordPress Integration extension will then replace it with a new expiring Amazon S3 link. You can also change the default expiration time of your Amazon S3 links on our extension settings page. This helps prevent your members and subscribers from sharing your private images, documents, and files without permission.